One of my guilty pleasures is the long-running TV show NCIS, a drama focused on the Naval Criminal Investigative Service. 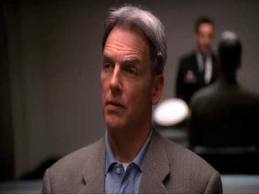 The hero is a former Marine, now Special Agent Jethro Gibbs, a disciplined detective with an uncanny ability to observe and interrogate criminal suspects. He doesn’t say much or display much emotion in the interrogation room—indeed his cool demeanor is his trademark—yet he is a keen lie spotter. Psychological scientists are fascinated by real-life versions of the fictional Gibbs. Detecting lies and liars is essential to effective policing and prosecution of criminals, but it’s maddeningly difficult. Most of us can correctly spot barely more than half of all lies and truths through listening and observation—meaning of course that we’re wrong almost as often as we’re right. A half century of research has done little to polish this unimpressive track record. But scientists are still working to improve on that, and among them is cognitive psychologist Aldert Vrij of the University of Portsmouth, UK. Vrij has been using a key insight from his field to improve interrogation methods, namely: The human mind, despite its impressive abilities, has limited capacity for how much thinking it can handle at any one time. So adding demands for additional, simultaneous thought—or cognitive “load”—compromises normal information processing. What’s more, lying is more cognitively demanding than telling the truth, so these compromised abilities should show up in detectable behavioral clues. Why is lying more demanding? Well, imagine for a few minutes that you’re guilty of a murder, and Gibbs is cross-examining you. To start, you need to invent a story, and you also have to monitor that tale constantly so it’s plausible and consistent with the known facts. That takes a lot of mental effort that innocent truth tellers don’t have to spend. You also need to actively remember the details of the story you’ve fabricated, so that you don’t contradict yourself at any point. Remembering a fiction is much more demanding than remembering something that actually occurred. Since you’re naturally worried about your credibility, you’re most likely trying to control your demeanor: Surprisingly, “looking honest” saps mental energy. And what’s more, you’re not just monitoring yourself; you’re also scanning Gibbs’ face for signs that he’s seeing through your lie. That’s not all. Like an actor, you have the mental demands of staying in character. And finally, you have to suppress the truth—so you don’t let some damning fact slip out—another drain on your mind’s limited supply of fuel. In short, the truth is automatic and effortless, and lying is the opposite of that. It’s intentional and deliberate and exhausting. NCIS Special Agent Gibbs may be a fictional version of what psychological scientists call “wizards”—those rare people who have extraordinary lie detection skills. Researchers have been trying—without a lot of success—to unravel these wizards’ strategies, but until do, less sophisticated lie catchers may be able to exploit the mind’s cognitive deficits to catch the bad guys in their deceptions. Wray Herbert’s book, On Second Thought: Outsmarting Your Mind’s Hard-Wired Habits, explores the limits of the rational mind. Excerpts from his two blogs—“Full Frontal Psychology” and “We’re Only Human”—appear regularly in The Huffington Post and in Scientific American Mind. Its a good thing to use research to uncover the facts, but I have to remember that research can be misused. I had a friend who was accused of lying because he thought over his answers before he spoke… actually he wanted to make sure that he hadn’t missed or forgotten any details of events which had occurred years before. So, the prognostication that he was lying was itself a lie. My point is that using techniques like this will produce ‘false positives’, incorrect prognostications of lying. The article included a description of a shift to “true positives” (“60 percent when the liars were compromised”) but not the change in false positives, which would have also been interesting. I wonder if the lies, and truths, studied in the research were authentic lies that would reflect lying under real motivation, or were they artificial lies. Artificial vs real motivation could make for a difference in outward appearances. Obviously liars can also study this research, so I wonder if that can complicate honest use of the results.